Hey everyone! 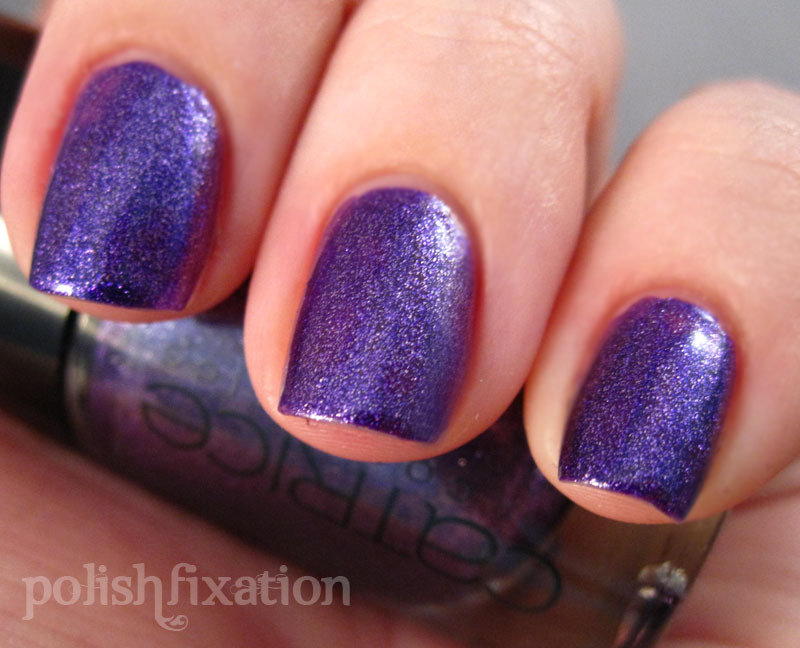 Today I have a super pretty purple polish to show you! It's one of the ones I got from an international swap, since Catrice polishes are unfortunately not available in the US. I wish they were because they are amazing and I need more! This polish is called Forget Me Not. How gorgeous is that? I love it so much! I am glad my camera actually captured the shade of purple and the shimmery goodness! Just 1 coat and it was opaque. The formula was incredible and the brush was easy to work with. I hear that this is a close dupe (or exact) of Zoya's Mimi, but I don't own Mimi so I couldn't do a comparison. I will definitely not be forgetting Forget Me Not! (ha ha, I had to say it!). 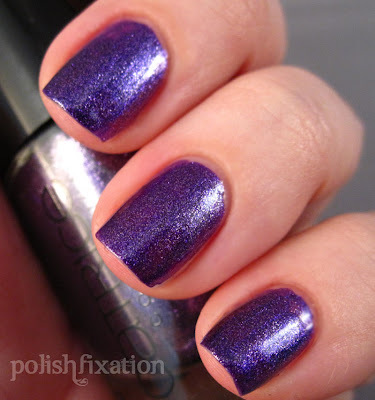 Do you have any Catrice Polishes? What's your favorite shade? So pretty! I have six (?) of these and I love them all! I don't own any Catrices either, but I can see that I really want to. It's gorgeous! This is gorgeous! It does look a lot like Mimi, so I'm glad I have that one. Love it! Sad they are not in the US! *LOVE* this purple! This is like the most perfect purple I've seen, no joke! 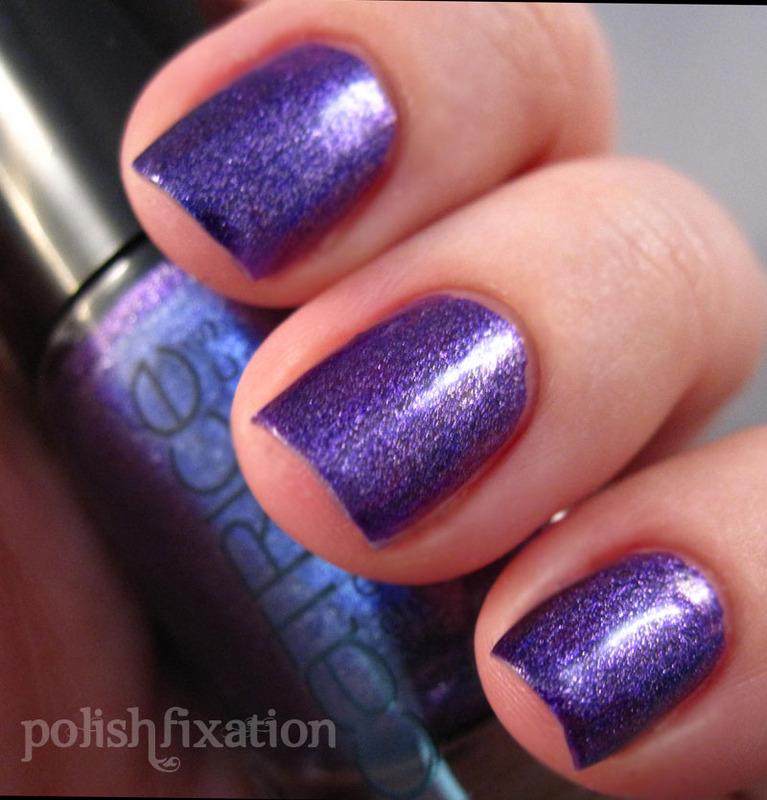 This Catrice polish is right up my alley!